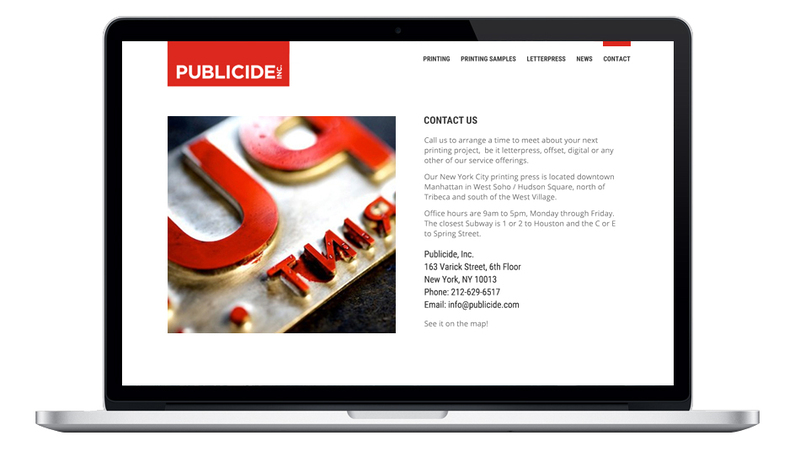 Publicide is a full service print press in Manhattan, New York. 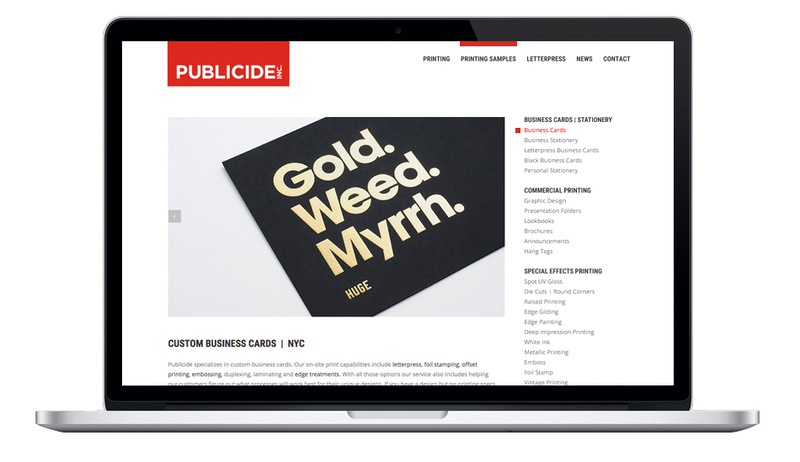 They are known for their fine quality business cards and their idiosyncratic style. The site was built with editable modules, so they can continually change and update the their offerings.